I’m two days away from my first exam, but for some reason I’m a little too relaxed about it, which isn’t good…..I finished this book today and I really enjoyed the story about Lale and Gita. Every prisoner who went into the concentration camp complex Auschwitz got a number tattooed on their arm. That was Lale’s job, to tattoo these numbers into his fellow victims’ arms forever branding them with a memory of Auschwitz. He spoke several languages which helped him in his job as ‘Tätowierer’ along with his charm and good spirit. With his job came several privileges that the other prisoners didn’t have and this gave Lale many opportunities within the camp. Auschwitz also introduced Lale to the love of his life, Gita. This is a story of how love manages to sprout and grow within one of the darkest complexes that history has known and how one man was able to save the lives of many others. I enjoyed this book. Again, I was given a new perspective on life within Auschwitz. We’ve all heard about the tattoos that branded the victims for life, but I’ve never heard the story about the man who tattooed them before. I’ve always known that it was a prisoner who did it, but there has never been a story to read, that I know of before now. Lale’s story is quite different from the many other Holocaust survivor books I’ve read thus far. What strikes me is how he is able to stay so mentally strong during his experience within Auschwitz. When he is nearly ready to give up he always finds his way back to the path that keeps him going, most often that path involved Gita. That love is found in the most remarkable places gets a whole new definition after reading this book. Morris does a very fine job writing this book. It is easy to read, it has short chapters, and there isn’t a lot of foreign words. Foreign words without translation have been a problem in some of the books I’ve read, but not in this one. If foreign words are used, they’ve been translated which makes the reading easier and more enjoyable (as far as that is possible considering the topic). The balance between the suffering and fear within the camp is in good balance with the love story that unfolds in the midst of it all. I enjoyed reading how Lale in the middle of everything always cared and worried about Gita’s well being. Truly a real gentleman. I really liked that Morris has written about how Lale and Gita fares after Auschwitz. Often in books like this, the story ends when the survivor is liberated from the camp or is getting on the transport home. This book doesn’t. It follows both Lale and Gita until their happy reunion in Bratislava, Slovakia. I’ve always been interested in how survivors found their way home. Some had hazardous and long journeys and didn’t make it home before many years after the war due to different circumstances, while others, like Lale, found opportunities and took them in order to make it home as fast as he could. Some things might be related to luck, but we are all different, and Lale strikes me as a character who never let an opportunity leave him if he could benefit from it. I would recommend people to read this book. 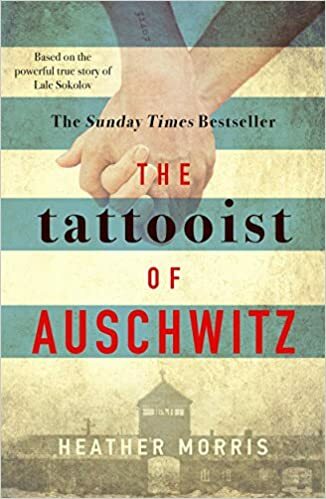 Like it says at the beginning of the book by Graeme Simsion; I would recommend it unreservedly to anyone, whether they’d read a hundred Holocaust stories or none.